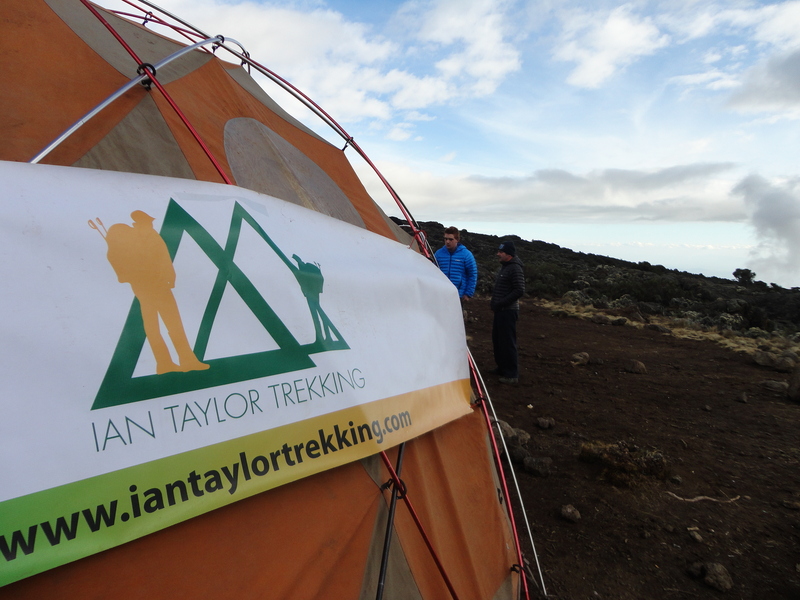 Summit night on Mount Kilimanjaro with Ian Taylor Trekking will be challenging. 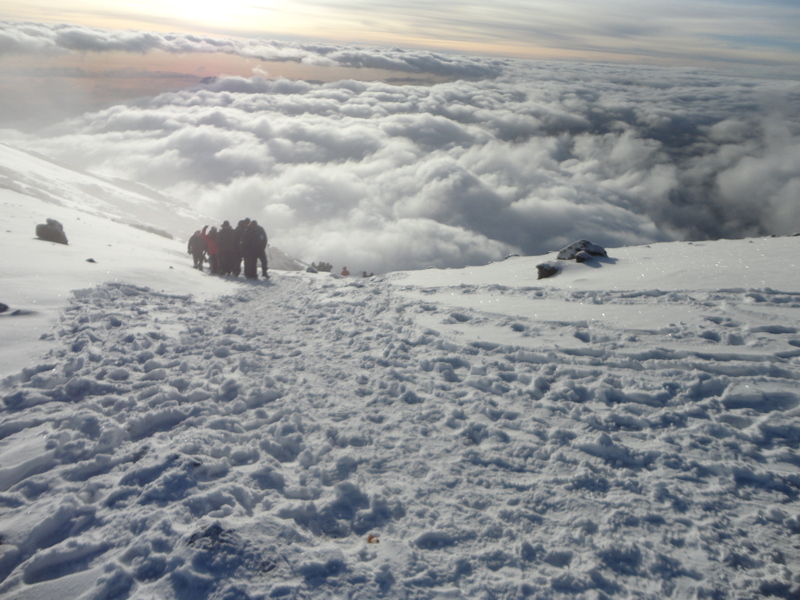 Your Kilimanjaro climb will come down to one long summit night and day. Leaving high camp (Barafu camp) at 4,650m/ 15,256 ft. at mid night, it is a long, slow mental challenge to reach the summit of Kilimanjaro at 5,895m/ 19,341 ft. 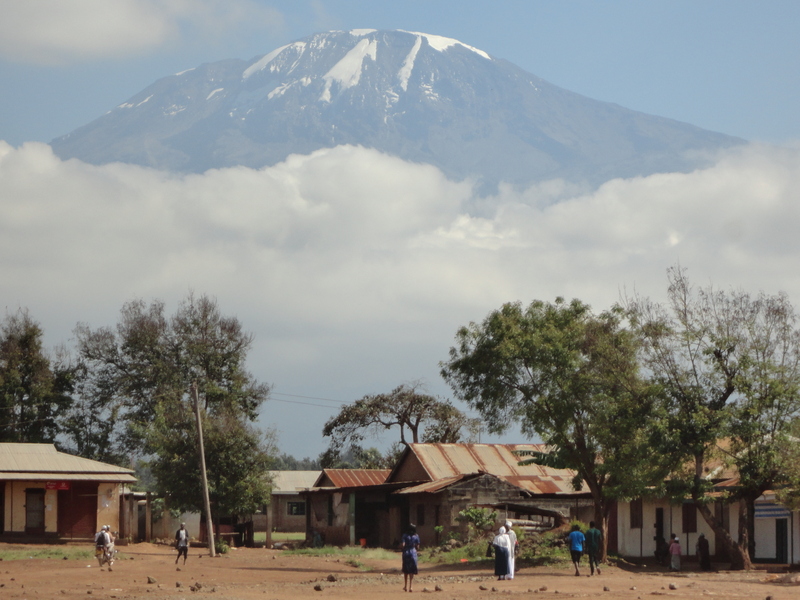 Check this link out with all you need to know about climbing Kilimanjaro. Keep reading below. My approach to summit night goes like this. We aim to get up at 10:30pm. We aim to reach Barafu camp (high camp) at 11:00am so we will have time for additional acclimatization and mostly importantly rest and sleep. We will position ourselves away from the noise of the main camp. At 10:30pm you will get up and start getting dressed and ready. It is important to start drinking water. I like to have 2 liters of water before I leave. At 11:15pm we will be served breakfast in the dining tent and you can fill your Nalgene bottle with boiled water for the summit night. Some people like to have 2 Nalgene bottled (2 liters of water) for their summit attempt. This is a personal choice on how much you carry. Make sure you keep well hydrated during the whole trip and even prior to joining the Kilimanjaro climb. At midnight we will start walking to the summit. We will aim to gain 200m/ 656 vertical feet per hour on route to the summit. We will walk for an hour and then stop, drink water, eat some snacks and go to the toilet just off the trail. Each stop will be 5 to 7 minutes. We will repeat this for the next 5 hours as we slowly edge our way above 5,500m/ 18,000 feet. As we reach this elevation we will need to stop every 20/30 minutes as the lack of oxygen becomes more challenging. We will slowly move to Stella point as light hits the horizon. Once we get to Stella point it will be cold so we will rest for 5 minutes, have some hot tea and then continue the 50 minutes to the true summit. The terrain is now a little easier than the previous hours to reach Stella Point. The lack of oxygen is challenging, so you need to make sure you are deep breathing all the way up to the summit. Getting oxygen into your body is the most important thing you should be thinking about and doing on your summit attempt. After 7 hours of walking up hill you will reach the summit. 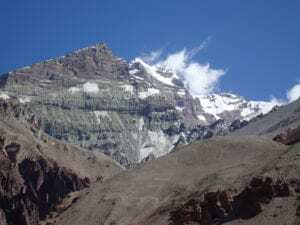 Enjoy the achievement of the summit and move as a team back to high camp, which should take about 3 hours. It is really important to get back below 5,500m/ 18,000 feet as quickly as possible. You will have some time to rest, re-hydrate for an hour, eat a full lunch, pack your bag and slowly make your way down to Mweka Camp 3,100m/ 10,171 ft. This is a 1,245m/ 4,085 ft ascent and a 2,795m/ 9,170 ft descent. We highly recommend our 8 day climbs as you want to give yourself the best and safest chance at climbing to 5,895m/ 19,341ft. 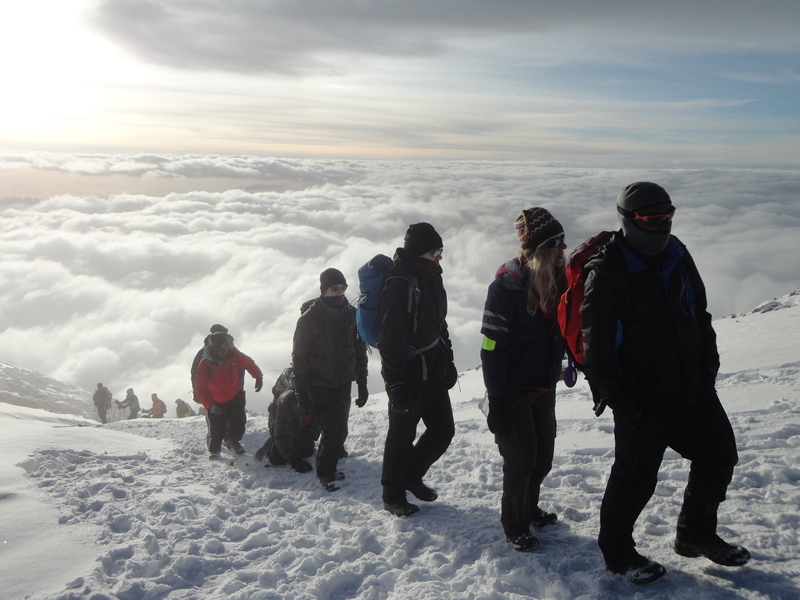 Watch the video above and check out some raw footage from the summit night on Kilimanjaro. Read some REVIEWS from our trips. I have climbed Kilimanjaro 30+ times now and I see people struggling the last two hours to the crater rim and Stella point. You need to keep moving because it is cold, the pace will be super slow and you can take multiple short stops. It is now a mental game and you have to believe in yourself and dig deep. Most of the hard work is done and you can make it to the top. Read our training advice. 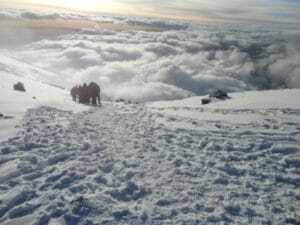 After you have enjoyed the summit of Kilimanjaro for 20 minutes you will need to drop down out of this extreme altitude. It will take 3 hours approximately to get back to Barafu camp. You can rest for 1 hour, depending on what time you arrive back into camp. You will then back up your bags, get more water, have lunch and continue down the mountain for a further 3 hours approximately to Mweaka camp 3,100m/ 10,170ft. You will be back in the rain forest and now you can celebrate you summit success. 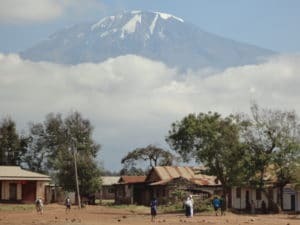 This is a 14 hour day so you need the best acclimatization and lead in to this challenging summit night climb on Kilimanjaro. CLICK HERE for more information on our climbs.